For more than 20 years, Massachusetts volunteers have scoured beaches, river banks, marshes, and the seafloor to pick up trash and record information about the types of trash collected. These volunteers are part of Coastsweep, the Commonwealth’s annual coastal cleanup program, organized by the Massachusetts Office of Coastal Zone Management and the Urban Harbors Institute at the University of Massachusetts Boston. 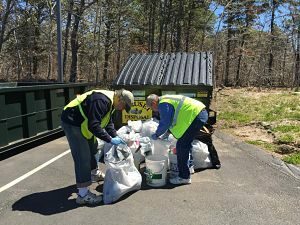 Last year in Massachusetts, more than 2,900 Coastsweep volunteers collected over 20,000 pounds of trash. Last fall in Harwich, more than 50 volunteers helped clean the shores along Nantucket Sound and Pleasant Bay. This year, volunteers will again be participating in the Coastsweep cleanup coordinated by the Harwich Conservation Trust in partnership with the Town of Harwich Natural Resources Department. Please join the Harwich Conservation Trust on Saturday, September 29th, 9:00 a.m. at Saquatucket Harbor (rain date: Sunday, September 30th at 9:00 a.m.) for our local Harwich Coastsweep from 9-noon. 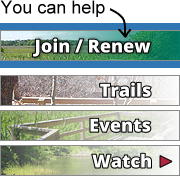 If you are interested in volunteering, please contact Tyler Maikath, HCT Outreach & Stewardship Coordinator via email at tyler@harwichconservationtrust.org by September 25th.